Fond of Snape » Blog Archive » lucky number 113! 1. I’m healhy, I’m relatively happy, I enjoy life. 2. Why do I have things I HAVE to do and not things I WANT to do? 3. How does this life work, anyway? 4. Every morning, I put scent on my pulse points. 5. I consider myself lucky because I’m still alive after doing many crazy things in my life. 6. One day we’ll see Japan again [yesssss, precioussss, we will!]. 7. And as for the weekend, tonight I’m looking forward to listening to Malcolm’s radio show, tomorrow my plans include shabu shabu and a movie in one of my favorite places, Harvard Square and Sunday, I want to meet with the realtor (not!)! I’d like to do #6 too someday:) Have fun there! My fill-ins are up too. I’d love to go to Japan. Good luck w/ the realtor, Janet and have a fabulous weekend. What movie are you going to see? I hope it goes well with the Realtor. Ugh. They aren’t really my favorite people to deal with. Lucky you that you live near enough that you can go to Harvard Square for a movie! And, um, our filled in no. 4 is awfully similar. Have a great weekend, Janet. I’m just starting to get back into scents, I stopped wearing them when I had H because I didn’t want him to be sensitive to them. “I’m healthy, I’m relatively happy, I enjoy life.” That is what really counts in life. I am also amazed that I made it this far in life. what is shabu shabu? that sounds intriguing. Why is it that we hate the things we have to do? It’s true though. Ditto on the crazy things and still being alive. Happy weekend. #2 You & I both! That’s what I strive for, to be doing things I want to do, not doing things I have to do. Yesss preeecioussss! Ditto on the Want vs. Have to. LOL looking at your fill-ins, they’re much more positive than mine! Great fill-ins. Hope you have a great weekend. Harvard Square is always a lot of fun. 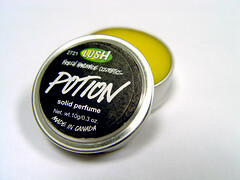 what does your fun Potion smell like? You always have the best weekend plans. I feel like such a slug sometimes being such a homebody! I especially enjoyed your responses to the first three questions. I would love to visit Japan… Hubs lived there for a time when he was a kid. He still talks about it. I agree 100% on #2,3 and 5. I ask myself #2 all the time! And for #6, you could always crash on our sofa bed. It’s quite comfy.